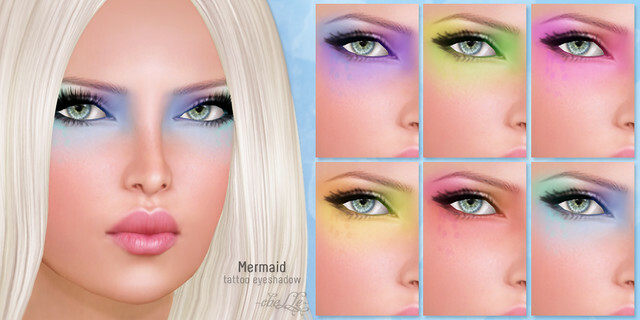 As promised, the ✿ cheLLe ✿ Mermaid eyeshadow set is now out! This eyeshadow includes six bold & vibrant eyeshadow on the tattoo layer. There is also a bit of ‘lashes’ drawn over the shadow, to give your eyes an extra pop! Just bought it now! So cool, love it 🙂 Thanks Gogo!